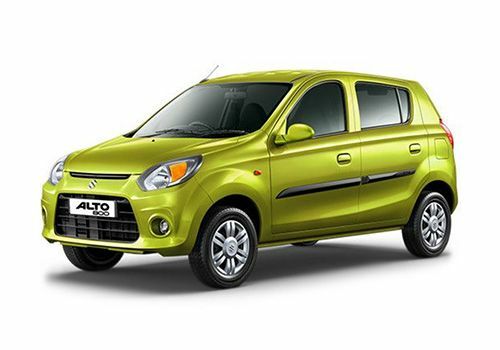 Maruti Alto 800 LX is a trim that is good enough in providing all necessary features at an affordable price. It has a pretty charming body with its wavefront design, stylish bumpers and a pair of tail lights. Dimension wise, the car is 3395mm long, 1490mm wide and 1475mmt tall. Insides are adorned by attractive floor carpets, good quality seat upholstery and overall cabin painted in a grey color scheme. The features are not many, but this trim still has rear seat headrests, dial type climate control and several storage spaces. This variant is equipped with some noteworthy safety features, such as an engine immobilizer, headlight leveling and a high mounted stop lamp. Solid disc and drum brakes are affixed with its front and rear wheels, respectively. It gets a 796cc petrol engine, which holds good in returning a maximum mileage of 22.74 Kmpl. This small car has a fuel tank capacity of 35 litres and a 5-speed manual transmission system is also there to transfer the produced output to the front wheels. There is a 2 year or 40000 Kilometer (duration or distance first) standard warranty. The same can further be increased by taking an extended warranty scheme from its authorized dealership. This model is furnished with several enticing cosmetics, such as adjustable headlights, a black colored grille as well as wide air dam. Apart from these, its has a well designed bumper, wide windscreen equipped with wipers and a washer. Its rear profile has a pair of tail lamps and a sporty boot lid with centralized logo of Suzuki. Moreover, this variant gets a set of 12 inch steel wheels that are wrapped with 145/80 R12 tubeless radials. There are external rear view mirrors, which come with manual adjustment facility. The customers can select their favorite color from six distinct options. This model has a wheelbase of 2360mm, ground clearance of 160mm and a minimum turning radius of 4.6 meters. It comes in a single tone treatment and includes a C-pillar lower trim, cabin light in 3 positions, floor carpets and seats with fabric upholstery. It has a well-lit instrument cluster, neatly done up dashboard and a responsive three spoke steering wheel. There are sun visors for the front passengers above the windscreen to protect their eyes from the glare of sun. This hatchback has a boot space of 177 litres and incorporates a spare wheel beneath it. It is affixed with a 0.8-litre F8D petrol engine that has a displacement capacity of 796cc. It can make about 43.7bhp at 6000rpm and a maximum torque of 69Nm at 3500rpm. There is a DOHC valve configuration that comprises of three cylinders, while it is coupled to a 5-speed manual transmission. Ahead of attaining a top speed of 140 Kmph, this small car can go up to 100 Kmph starting from zero in just 19 seconds. Based on an MPFI fuel supply system, it delivers 22.74 Kmpl on highways and 17.0 Kmpl in the city. This trim has a kerb weight of 715 Kgs, while its gross weight stands at 1185 Kgs. Its front wheels are integrated with solid discs, while rear ones have drum brakes. A pair of McPherson struts are fitted to its front suspension and rear has a 3 link rigid axle. Further this mechanism is augmented with gas filled shock absorbers for front wheels, while coil springs are available at its hind wheels. It is packed with a standard bundle of comfy features, incorporating assist grips for driver as well as co-passenger, dial type climate control, air conditioner with heater and dual tripmeter. For storing purpose, this trim comprises of passenger side utility pocket, driver side storage compartment, map space in front door trim and holders for 1-litre bottle, can and coins. Remote fuel lid opener is there to help you in opening and closing the tank without getting out of your vehicle. The rear seat can be folded down to increase the volume of luggage compartment according to your need. It has a spacious environment, which offers very comfortable seating for a total of five occupants. The list includes head light leveling, high mounted stop lamp, collapsible steering column and a low fuel warning light. Besides these, this model includes child safety locks on both rear doors to keep the kids safe from injuries, anti theft device, day and night internal rear view mirror, adjustable seats, impact beams at the front as well as the rear end. On the same hand, an immobilizer system is there that prevents any wrong key to start its engine. 1. Boot compartment is quite spacious. 2. Safety should be improved.